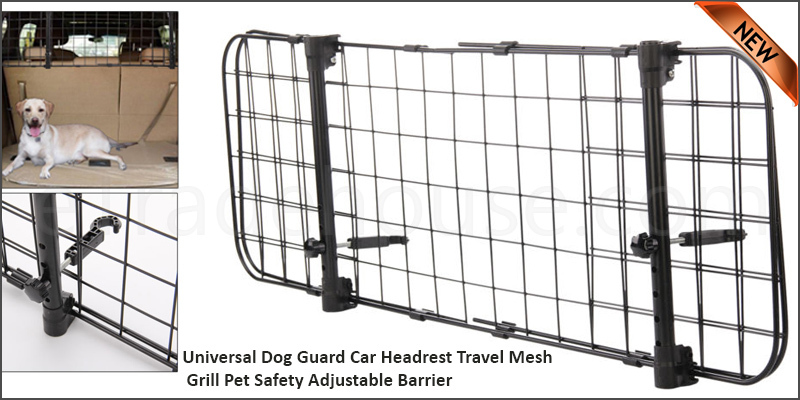 This Universal Headrest Dog Safety Guard Fence hooks directly onto the back seat headrests, therefore does not require the troublesome guard legs or suction cups that get in the way of your dog. It is supplied with 3 fittings for you to choose from to ensure that you get the most appropriate fit for your car. Extendable side wings are easy to adjust (106-145cm), avoiding gaps for your dog to sneak through, keeping them, and you safe, safe and secure in the car. Perfect For 4x4, MPV, Estate, Saloon, Hatchback, Vans etc.